I’m Sofia, creator of this blog of byronic heroes and fierce femme fatales. Where I write about movies, television and books, in hopes of inspiring you and starting awesome discussions. Where I compulsively screenshot every beautiful frame of a movie, organise them in some fashion, and try to write coherently about what it all means. It’s special stuff, I promise you. In this category, we compare books to their film counterparts, exploring the difficult art of adaptations. It’s bookworm/movie buff heaven! A week recap with all the movies I watched, tv shows I binged, books I read, and general updates. Typically includes links to interesting content from around the web and posts from some of my favourite fellow bloggers! Screen Threads is a special feature on Returning Videotapes, that celebrates costume design in movies and television series. Named after a brilliant scene from the series Mad Men, Zou Bisou is a feature that celebrates the life and work of artists I love, on their birthday! A monthly recap which rounds up all the movies I watched, series I binged, and books I read in the previous month! It’s named after the classic film Suddenly, Last Summer, and also includes links to posts I’ve written that month, and a preview of what’s coming next. Scores & Soundtracks is a feature that celebrates music in movies and tv shows. Posts include favourites, reviews, and lists! Every year I sit down and make a bunch of lists with my favourite movies, tv shows, scores, posters, performances (etc) of the year. THAT is the Year Retrospective. A movie challenge where the goal is to watch a classic or cult movie, one that is important to you, every month, for a year. Are you taking part in this year's challenge? A challenge first seen on Returning Videotapes, where you can confess all your cinematic sins of omission. The goal is to create a list of classic and cult movies you know you should’ve watched by now, but can’t seem to tackle – and let the whole world know about it. I mean, have you *really* seen Gone With The Wind? An event that happens every year during the month of October, where we celebrate the best the horror genre has to offer – from movies, to tv shows and books! A weekly movie feature created by Wandering Through The Shelves. The challenge is to pick three to five films that fit the week’s topic! It’s fun, and anyone can participate. A weekly book feature hosted by That Artsy Reader Girl. It’s a challenge where every week we pick ten books that fit a certain topic! RW: When There’s no More Room in Hell, the Dead Will Walk the Earth. Blind Spot Series: 2019 Edition! Blind Spot Series: 2018 Challenge Round-Up!! The 90th Academy Awards Reaction: Red Carpet, Ceremony, and Winners! Last month may have been a disaster tech-wise (smartphone not working, stuck with pre-historic Nokia for now) but I did get the chance to watch some new-releases, and even attend the Lisbon & Estoril Film Festival. Noirvember didn’t happen, but go ahead and look around other blogs for your noir fix. November was also the month the british show The Fall returned for its second series, with still three episodes to go before the finale in mid-December. As for new shows, I watched all the episodes of The Good Wife (so addictive), and started the really funny and sweet Jane the Virgin, at Nikhat’s recommendation. own hands as the police pursue multiple leads and the pressure mounts. But just how far will this desperate father go to protect his family? the realities of independent womanhood for the first time. pick up the pieces of a past that may be too far gone. Accuser from destroying the galaxy. become the star of his own story. Have you seen any of these? What was the best film you saw in November? Hi Sofia, I too really enjoyed ‘Nightcrawler.’ It was definitely one of the best films I’ve seen this year. I can’t wait for ‘The Fall’ season 2 to come to Netflix. I devoured season 1 earlier this year. I was not as impressed with ‘Interstellar’ as I thought I would be. Nightcrawler will definitely be in my top movies of 2014, loved the concept. I hope The Fall is on Netflix soon – this is one of those rare occasions where a show airs first in Europe! I’m so totally on a Jake-train right now. Watched Nigtcrawler couple of days ago and loved it! Now finished End of Watch and can’t really hold in the emotions any longer. I’d be devasted if I don’t get my act together in order to review these ones and the other great movies I’ve seen lately. I am too, he’s been in such great movies lately! And it started with Nightcrawler for me as well, then Prisoners, and this weekend I’m thinking Enemy, which I haven’t seen yet. I never heard of End of Watch, is it good? I like him in cop/soldier roles. Oh I loved End of Watch.. it was no Nightcrawler but then again, that character is something outside this world! I think I actually liked him in Jarhead a lot back in the day.. and then he disappeared on me for a while but he seems to be very on point with his latest roles. I read that the Nightcrawler scene where he breaks the mirror was his improvisation and he had to get stitches because he hurt himself during that outburst of emotion.. one of the best scenes in that movie, and it was 100% Jake! I’ll have to give it a watch, then! I liked him in Jarhead too, still remember watching it in the theatres and loving it. Woah, that’s amazing, it was such a great scene in Nightcrawler! Hey Sofia! Sorry I’m just now dropping by to catch up. Glad you enjoyed Guardians of the Galaxy, and I’m dying to see Eleanor Rigby. I actually prefer Prisoners to Nightcrawler, but it’s awesome that they both made your top 5. It’s okay, and I’ll answer all your comments with pleasure, Josh! I guess I found the concept of Nightcrawler more appealing, as I’ve often thought about violence in media and our reaction to it. Plus the comedy component was flawless. But I liked Prisoners a lot too, and I confess that I was a bit busy with a marketing job while watching it, so I could eventually come to love it more. Guardians of the Galaxy was the biggest surprise, it was so much fun! 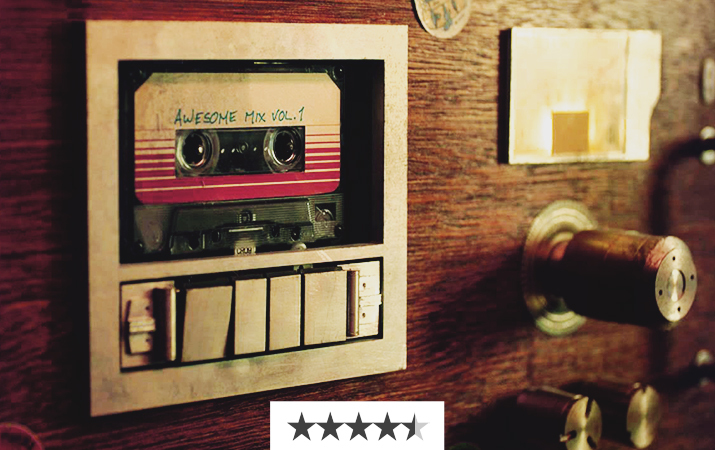 I loved Obvious Child and Guardians of the Galaxy, both are in my top 10 movies of the year! I’m regretting not seeing Nightcrawler when it came out; I felt like it was one of those movies when you have to talk to somebody about it the moment you step out of the cinema, and I can’t find anyone to see it with (solo movie goer most of the time)! I actually saw Nightcrawler by myself, and missed the post-movie conversation. It’s totally one that needs to be discussed, but I really wanted to see it anyway…! 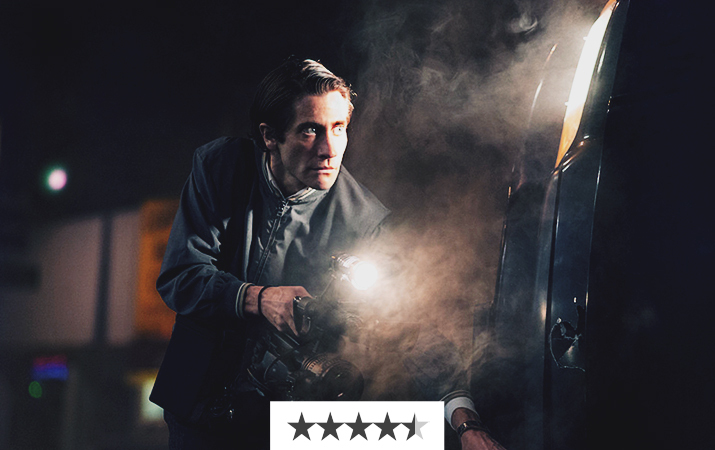 I saw Nightcrawler on weekend, really good, great pace, such a dynamic movie. I’m gonna see Obvious Child today. As for Prisoners? Hated it, but Gyllenhaal was really good in it. 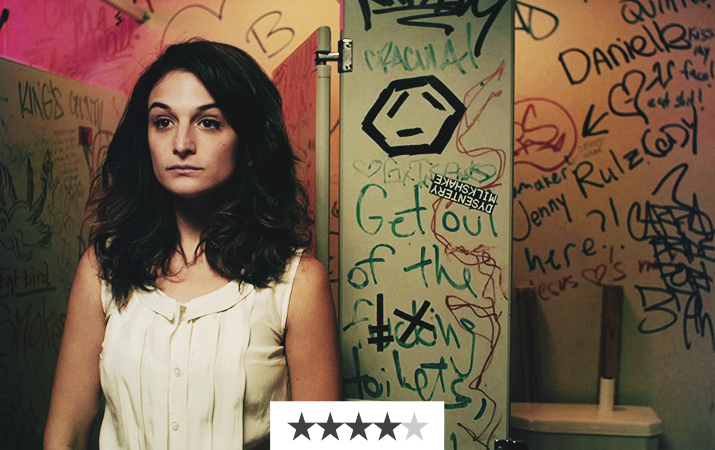 Hope you enjoy Obvious Child, Jenny Slate is hilarious. 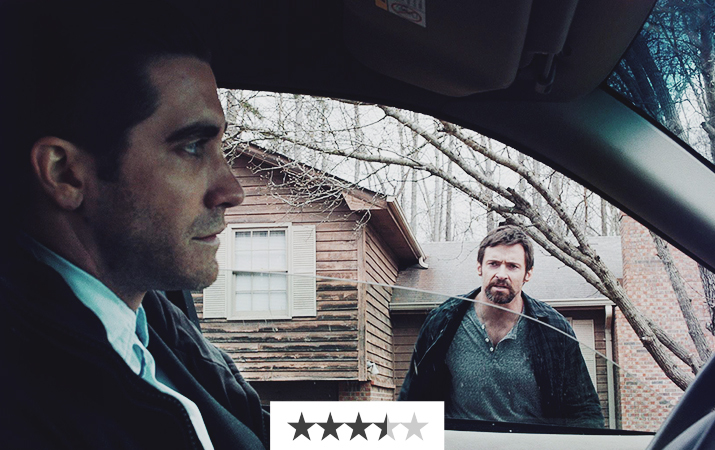 Gyllenhaal was very good in Prisoners yeah, he’s been fantastic in everything he does! 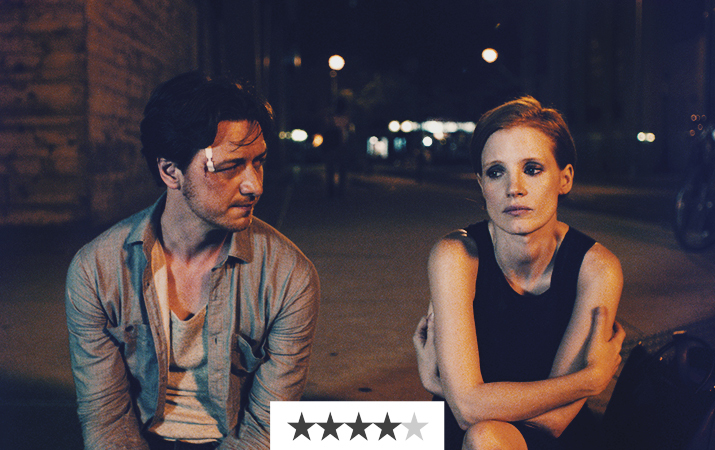 I’ve loved all the movies you’ve listed, except for The Disappearance of Eleanor Rigby which I cannot wait to see. I love that Detective Loki header image! I wish to watch Nightcrawler soon. Prisoners was one twisty thriller, loved it. Not fond of Obvious Child like you, but it’s entertaining. Hope you get to see it soon too, I want to know what you think of it! Hi Sofie I just wanted to let you know that I am a huge fan of your site great job on it. And as for your movie list I recently saw Nightcrawler and I highly suggest watching. Jake, does any amazing job! Thank you, that makes me happy! Ah Nightcrawler is the best, still think about it from time to time. He really is great, and this year he was particularly good.